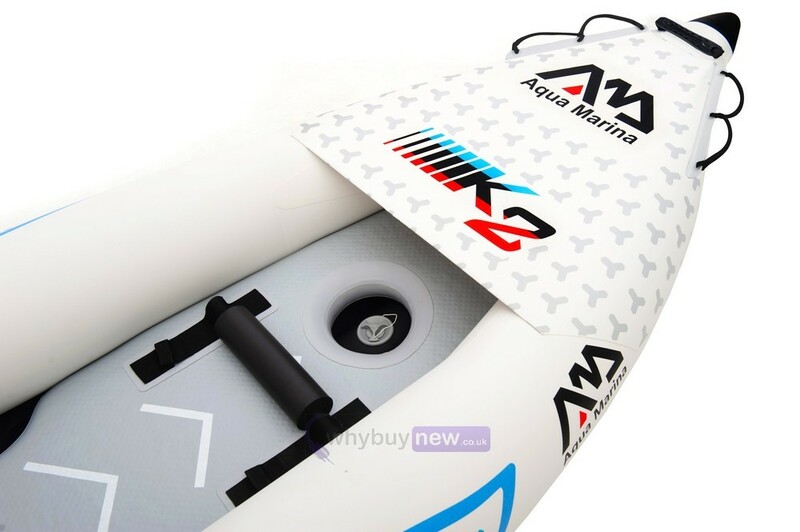 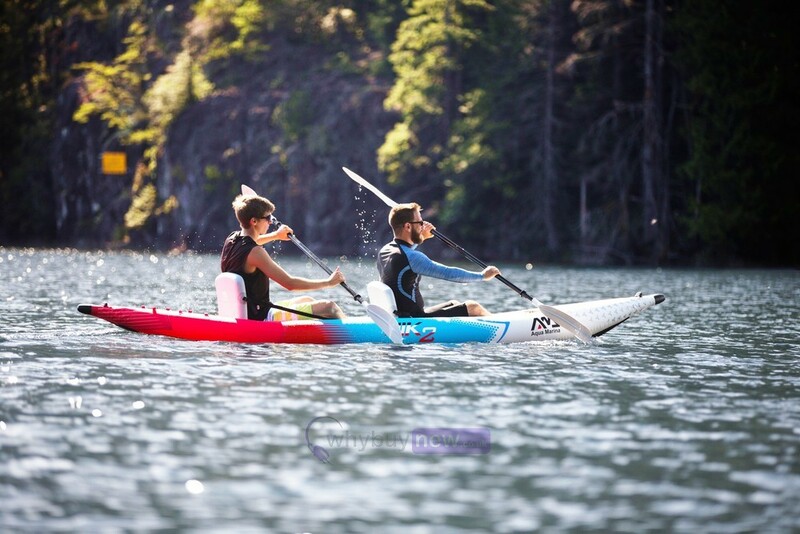 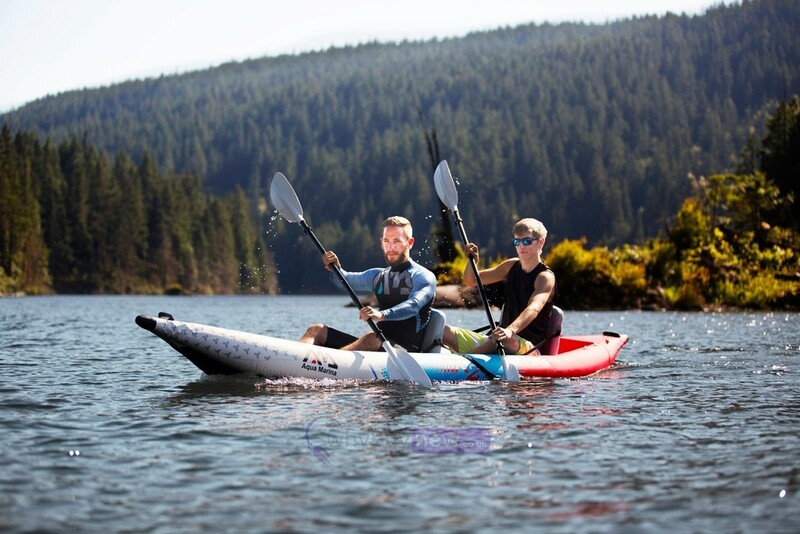 The Aqua Marina Betta VT kayak is an outstanding sea touring kayak that incorporates a hard v-cone rocker design and drop-stitch PVC deck to improve tracking in open water conditions. 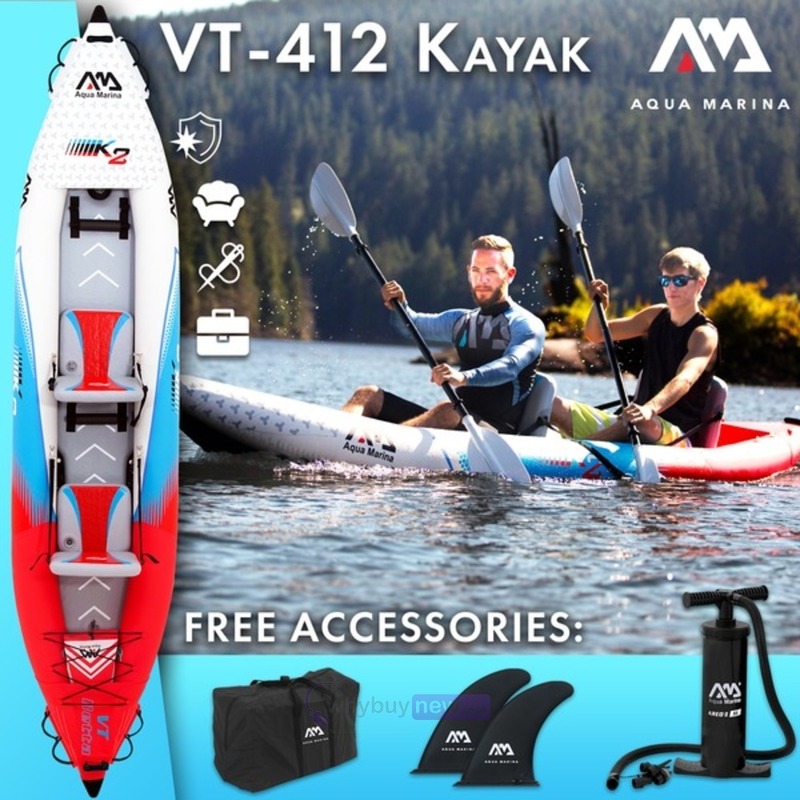 Package includes hand pump, transfer bag and fixing kit. 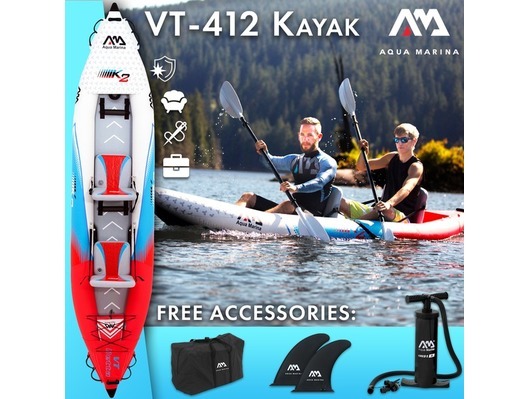 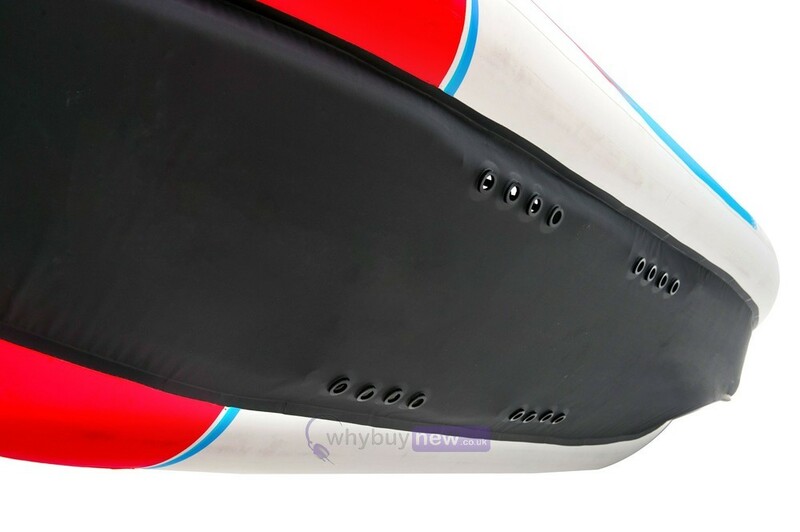 Its self bailing ports can be opened in rough conditions and closed in calm or cold conditions making a kayak that can be paddle in up to class III whitewater with improved tractability on open water. 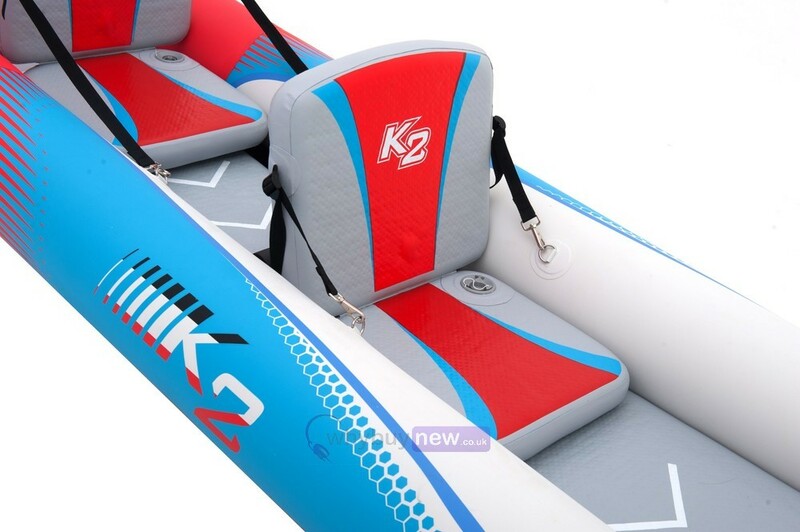 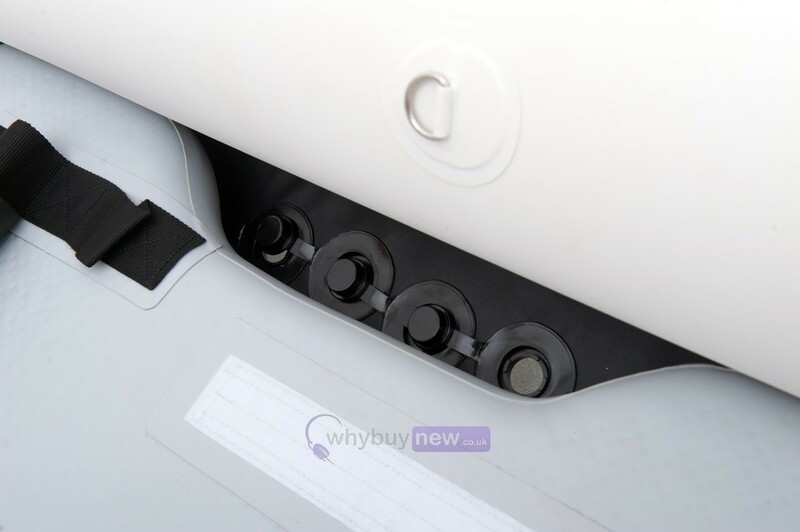 Upgraded drop-stitch vinyl seating allow for kayak to be set up in solo or double mode. 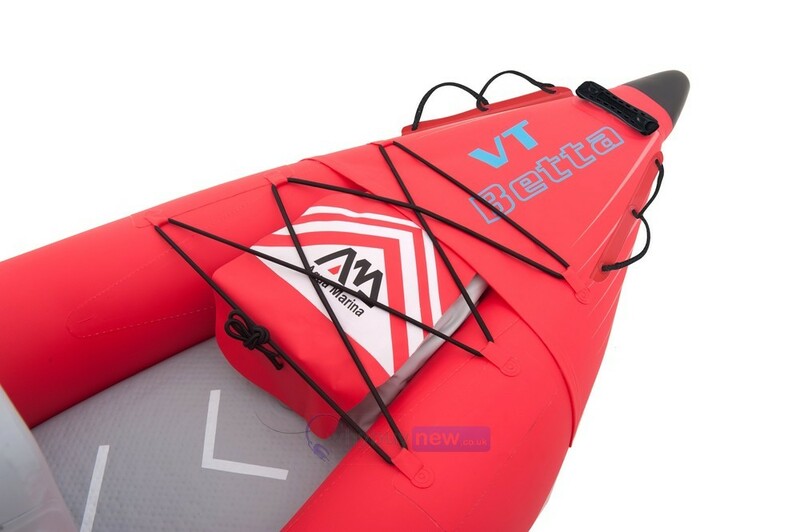 Inflatable and therefore easy to carry.